Specialist British film companies are preparing to exploit the hype created by Avatar, James Cameron's epic 3D science-fiction blockbuster. The film's epic 3D science-fiction blockbuster. 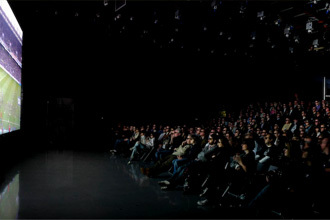 The film, which reportedly cost £180m to make, will open up new opportunities for an elite group of 3D specialist companies in the UK. Avatar is already expected to join the handful of films that have grossed more than $1bn at the box office. Tantalising trailers of the film this weekend whetted the appetites of rival Hollywood studios which are now scrambling to get a slice of a burgeoning 3D market. Avatar was filmed using a ground-breaking camera system developed by Cameron, the Canadian director whose past projects include The Terminator, Aliens and Titanic. 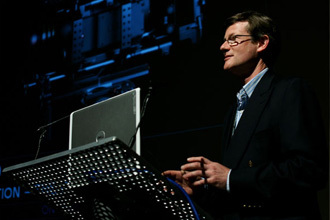 July 2009 saw the first BSC Film and Digital Image Evaluation screening where On Sight's head of Engineering Richard Mills was asked to hold a talk to 400 BSC delegates in attendance. Encompassing 18 different film and digital cameras, The BSC Film and Digital Image Evaluation 2009 was shot at Pinewood Studios in February and was designed to show an unbiased assessment of current camera technology available for shooting moving pictures for film or television. The smooth integration of EVS and Avid technology was crucial to NEP Vision’s outside broadcast coverage of Wimbledon for US TV networks. 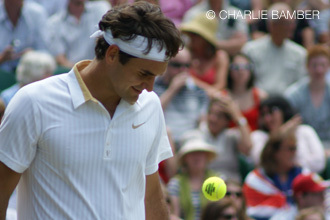 Wimbledon is one of the jewels in the crown of the British summer sporting calendar, a watercooler event not just for British fans but for tennis enthusiasts around the world. 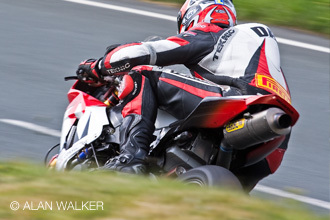 Producer North One revolutionised coverage of the Isle of Man TT Races this year with help from On Sight’s Axis Films and HD Hire departments. When North One took over coverage of the Isle of Man TT races this year the challenge was simple. The sports producer promised to get under the skin of one of the most exciting events in the motorcycle racing calendar and bring the story of the 2009 race to a bigger worldwide audience. Richard Mills, On Sight's Head of Engineering, spoke on behalf of manufacturers Sony and Panasonic as well as joining Axis Films' head of cameras Paul Carter for a seminar on the RED One at this years Broadcast Video Expo. 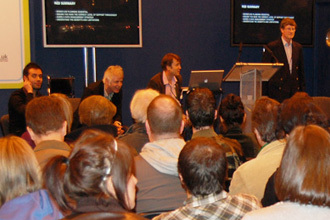 The Broadcast Video Expo is the UK technology event for production, post, delivery, AV and new media and took place at Earl's Court this February. On Sight and Axis Films (our recently acquired camera specialists) have a proven track record in new HD broadcast technology, something that was reflected by the number manufacturers who asked us to hold seminars at this years exhibition.